Lice. Doesn't just reading that little four-letter word make your head start to itch?!? Back to school time means back to germs, sickness, and all the other things that kids pass around schools, including lice. It never fails that each year shortly after school is back in session we start getting emails from the school or learn by word of mouth from other parents that lice is going around. Somehow, we have been able to escape any of our kids getting lice so far and we hope to keep it that way! Here are our 8 tips for preventing head lice. We have to admit, never before having head lice or seeing it, we had no clue what we were looking for every time we received one of those "fun" emails from school. Know what you are looking for so that you aren't blindly checking. To get a look at what you are looking for click HERE. We just couldn't stand to have those little boogers anywhere near us...not even for a picture on our blog. ICK! Try to be proactive and continually check your children when they come home from school - we suggest every week or so. Pay close attention to hairlines and behind the ears (this is where lice tend to hang out the most). By the time itching is experienced it could be up to 6 six weeks! Sharing is usually a good thing, but not when it comes to head wear and lice. Inform your children not to share anything that goes on the head (hats, helmets, headbands, hair bows, hoodies, etc.). Lice can live up to two days on these items and often result in the transfer from one host to another. Yikes! And speaking of not sharing - hair brushes are a big no no! No brushing each other's hair at school. Try not to share hair brushes in the house either. Assign everyone their own hair brush and make sure they don't mingle with one another. Some great tips are assigning everyone their own drawers or bin in the bathroom with hair products, or placing the hair brush in a gallon size baggy when done with use. If you know you are coming in contact with a certain fabric chair in public places (school office, movie theater, airplanes, etc. ), always make sure to cover the seat with a coat, scarf or towel before sitting. Because lice can live up to two days in the fabric of these chairs, it is an easy place to catch those not so friendly little creatures. Parties are also a source of transfer. With interactive social gatherings, little ones are more likely to be in situations where their heads are closer together. For example, slumber parties make for a great time, but not when unwanted guests become the highlight of the party. Make sure everyone brings their own pillow and sleeps slightly separated. One fun tip is to have everyone sleep in a circle, but connected at the feet. Their little heads are farther apart this way, but they still get that fun closeness that is part of a slumber party. Well, maybe not an expert, but studies show that longer hair is more susceptible to lice outbreaks. Pulling hair up and into a cute bun or pony tail actually can help prevent head lice. Just a few weeks ago one of my friends called me and told me she thought all three of her girls had lice. Then she called me back and said she thought she had it herself! They all have beautiful long hair and I just couldn't imagine having to go through the treatment process for each of them. She ended up at one of those places that treats it for you, but it is not cheap and what a pain to spend your entire weekend dealing with it. 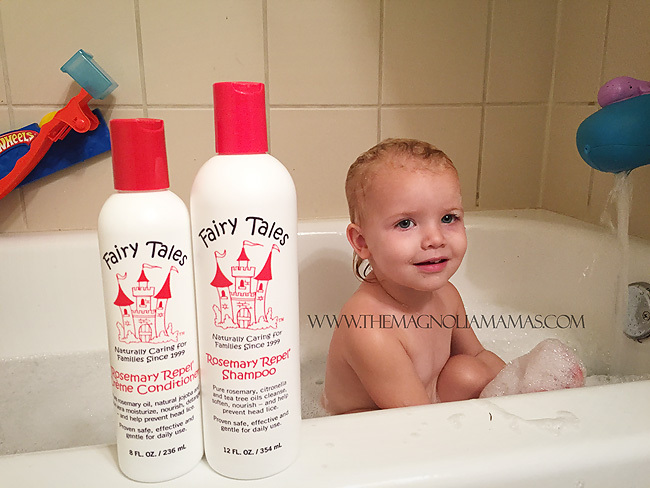 The timing of her call was so ironic because just earlier that week a friend had told me about Fairy Tales Rosemary Repel, a natural line of hair care products that prevent head lice using organic herbs and natural plant extracts. Because their products use no harmful chemicals or paragons they offer a healthier and safer way to prevent lice. And while all of that is wonderful, what I really care about is that it really works! The Rosemary Repel line of products smell amazing and the lice don't like it so they stay away. A few of my friends have been using it on their kids since they started school and they have never had lice. I started using the entire line on my kids not long ago and so far, so good. The shampoo and conditioner are great. Because my girls have curly hair I'm sometimes nervous to try new products on their hair for fear of tangles and frizz, but their hair still looks great using these products. Boo-Boo can have really sensitive skin and the fact that these are natural products means I don't have to worry about his skin becoming irritated. I really love the conditioning spray and hairspray for the girls. I use the conditioning spray on them in the morning to get their hair brushed and smooth and the hairspray to keep their braids or ponytail styles in place! The dreaded email or note from the school...seriously nothing will send me into a panic quicker. Because rarely does the "urgent" title ever warrant something fun. My children are still fairly young which mean they are always in contact with nasty stuff. Last year I had myself convinced after I got one of these lovely emails that we all had head lice. I swear I started itching like crazy after I received it (I'm even itching now as I type just thinking about it...Ick!). Cute's hair was fairly long and I had no clue what I was looking for. I had everyone checking us. Friends, neighbors, my sister (Being single without kids, she really appreciated this aspect of motherhood she was getting a peek at. I'm pretty sure she might have made an appointment to get her ovaries removed right then and there. ), and after a week or so of this I finally had a professional check. We were clear, but that was enough for me to take preventative measures. 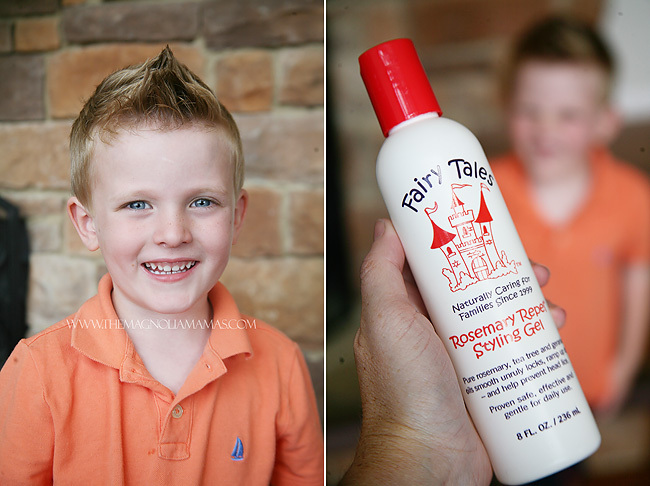 The Fairy Tales Rosemary Repel line has been amazing to us. Not only have we by passed the dreaded head lice (shiver) every time there has been a really close scare, I actually love the line itself. It smells wonderful and leaves The Cutes hair feeling soft. Even bigger bonus is it doesn't seem to bother them if they get it in their eyes while bathing. Recently we cut Cute's hair to a shorter style and he loves spiking it up. I was so excited to learn there is also a Repel Styling Gel available. Wahoo!! - We can't risk those little nasties sticking to our cute hair! If you have young children or little ones with long hair I would definitely recommend adding Fairy Tales to their routine. If we ever get a note home I even use it just to make sure. This tiny ounce of prevention can add peace of mind (and save lots of itching) later! 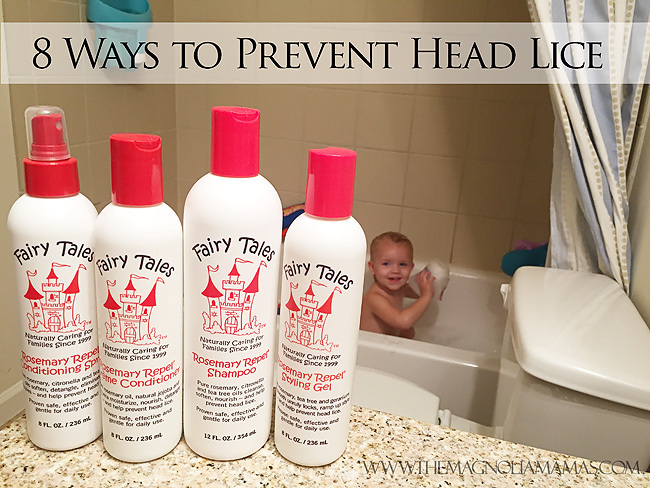 Do you take any special steps to prevent head lice?